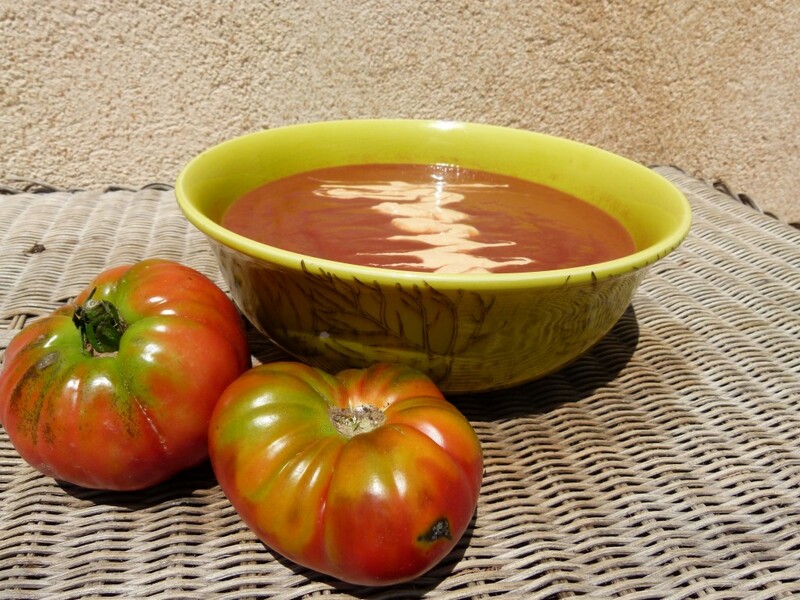 This tomato soup is simple and great served hot or cold. As an alternative, I’ve done it with fennel seeds instead of cumin and omitted the chipotle in the cream to make a citrus creme fraiche to top it off. In a large soup pot, heat olive oil over medium-high heat. Add onions and saute until translucent and lightly browned. Add cumin seeds and tequila. Simmer until tequila has reduced and all the bits stuck to the bottom are incorporated. Add the tomatoes and vegetable broth, simmer for 10-15 minutes.Working in batches, puree the soup in blender until smooth. Press through a strainer into a large bowl. Season with lemon juice, salt and pepper to taste. In a food processor, blend the creme fraiche and chipotle peppers. Slowly add lemon juice to taste.